It's designed to increase your peace of mind and life fulfillment through understanding and activating your true powerful Self. It is a step in leading you out of struggle and into abundance and peace. 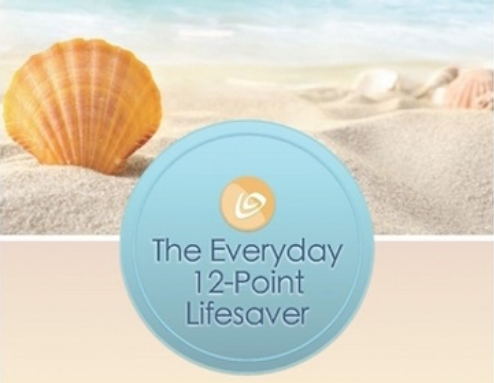 The Purpose of this Everyday 12 point Lifesaver is to help you release yourself from littleness and suffering, negative thoughts and experiences, fears, feeling of insufficiency, conflicts, lack and shortages, and worries - and to do so every day until it becomes natural. It is designed to increase your peace of mind and life fulfillment through understanding and activating your true powerful Self. It is a step in leading you out of struggle and into abundance and peace. This everyday lifesaver is designed to be a quick short daily read or listen. Its only purpose is to release you into abundant success and freedom by increasing your understanding of yourself and your world. You and your world are intimately linked. You shall see exactly how your world arises from yourself. Once you see this, all you then need to do it is to understand yourself and the power that you do have. Once you understand this power and yourself, you will then be able to wake up and use this new understanding and your natural unlimited power to change your life to become what you wish to be. You are already using this power, but you are using it in an unconscious and unnatural way and that is why your world may seem to be out of your control and out of line with your best wishes. If people are so powerful, why do they experience such 'powerlessness' in their lives? The answer will become clear to you in a moment and you shall reverse it. The world that you live in comes about in a certain way. Most people do not understand how it comes about, moment by moment, exactly. In fact, very, very few people understand how each moment is created. Understanding how your world comes into being, and your exact role in it, is what shall begin to get you out of the trap of suffering and shortage and into freedom and abundance. You shall now see Nobel Prize winning scientific and spiritual evidence that shall convince you that you are at cause for everything in your world - and that you can change the effect any time. Right now its time for some scientific evidence of this. Many Nobel Prize winning physicists have recently (starting in the 1920s) proven beyond doubt that the physical world is one large sea of energy that flashes into and out of being in a fraction of a second, over and over again. Nothing is solid. This is the world of Quantum Physics. They have proven that thoughts are what put together and hold together this ever-changing energy field into the 'objects' that we see. Think of a movie reel. A movie is a collection of about 24 frames a minute. Each frame is separated by a gap. However, because of the speed at which one frame replaces another, our eyes get cheated into thinking that we see a continuous and moving picture. Think of television. A TV tube is simply a tube with heaps of electrons hitting the screen in a certain way, creating the illusion of form and motion. This is what all objects are anyway. You have 5 physical senses (sight, sound, touch, smell, taste). Each of those senses has a specific spectrum (for example, a dog hears a different range of sound than you do; a snake sees a different spectrum of light than you do; and so on). In other words, your set of senses perceives the sea of energy from a certain limited standpoint and makes up an image from that. It is not complete, nor is it accurate. It is just an interpretation. Our thoughts are linked to this energy and they determine what the energy forms. This explains things such as positive thinking, prayer, faith, creativity, goal-setting, disease, and much more in a very scientific way. Your thoughts literally shift the universe on a particle-by-particle basis to create your physical life. Look around you. Everything you see started as an idea, an idea that grew as it was shared and expressed, until it grew enough into a physical object through any number of 'manufacturing' or 'growth' steps. You literally become what you think about most. Your life becomes what you have imagined and believed in most. The world is literally your mirror, enabling you to experience in the physical plane what you hold as your truth - until you change it. You know this to be true internally, and so do most people, and that is why people know instinctively that positive thinking works. Quantum physics shows you that the world is not the hard and unchangeable thing it may appear to be. Instead, it is a very fluid place continuously built up using our individual and collective thoughts and states of being as a society, country, family, planet, solar system, or universe. We have begun to uncover the illusion. What is your body made of? Tissues and organs. What are tissues and organs made of? Cells. What are cells made of? Molecules. What are molecules made of? Atoms. What are atoms made of? Sub-atomic particles. What are sub-atomic particles made of? Energy? No. They are not made of energy; they are energy. You are one big 'chunk' of energy. And so is everything else. Spirit and Mind puts together this energy into the physical shape you are used to seeing with your limited set of senses. If you go into a high-tech lab right now and ask them to let you see yourself under a powerful electron microscope and conduct other experiments on yourself, you will see that you are made up of a cluster of ever-changing energy in the form of electrons, neutrons, photons and so on. And so is your wallet, your spouse, your car, and everything else. Quantum physics tells us that it is the act of observing an object that causes it to be there where and how we observe it. An object does not exist independently of its observer! Energy is the sub-atomic particles that come together to 'make up' atoms, which come together to 'make up' matter. Matter is energy. Matter is not converted energy, it is energy. 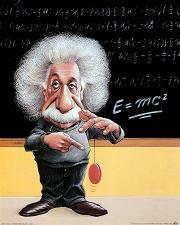 Ever heard of Einstein's equation, E=MC2? 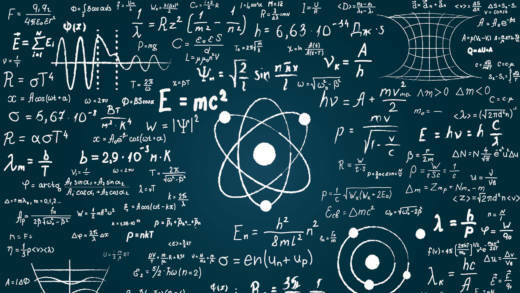 What it means is that any piece of matter of mass M is energy that can be calculated by multiplying that mass by the speed of light squared (what a large number!). You are literally made up of light, the same stuff light is made of (hence the Bible and many other spiritual texts tell us that light was the first thing to be created). Scientifically speaking, this energy exists as waves spread out over space and time. Only when you exercise observation do these waves become particles localized as a space-time event, a particle at a particular 'time' and 'space'. As soon as you withdraw observation, they become a wave again. So, as you can see, your observation, your attention to something, and your intention, literally creates that thing as a space-time event. This is scientific. Even your relationships with other people are governed this way by unfailing laws of cause and effect. * Spirit - Function: Life Force. Characteristics: Eternal, Infinite, All Knowing, All Powerful, One With All, Invulnerable, Unconditionally Loving, Fearless. * Mind - Function: Create by extension of Thought, which, as you shall scientifically see, shifts the energy that comprises all things physical. Characteristics: 'Split' between Higher Mind and Lower Mind. Higher mind has same characteristics as spirit while lower mind tends to identify with Body. * Body - Function: To experience. Experiences are possible only in a world of relativity (mind and spirit exist in a realm of absolute, not relativity, where comparison is impossible). Body is purely an effect and has no power to cause or create. Characteristics: The opposite of spirit. 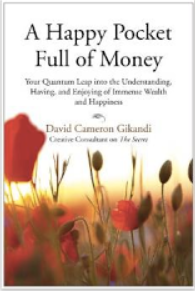 To learn more about Quantum Physics in a clear and simplified manner, and to know the immensely large role it plays in your life, download David Cameron Gikandi's book A Happy Pocket Full Of Money .